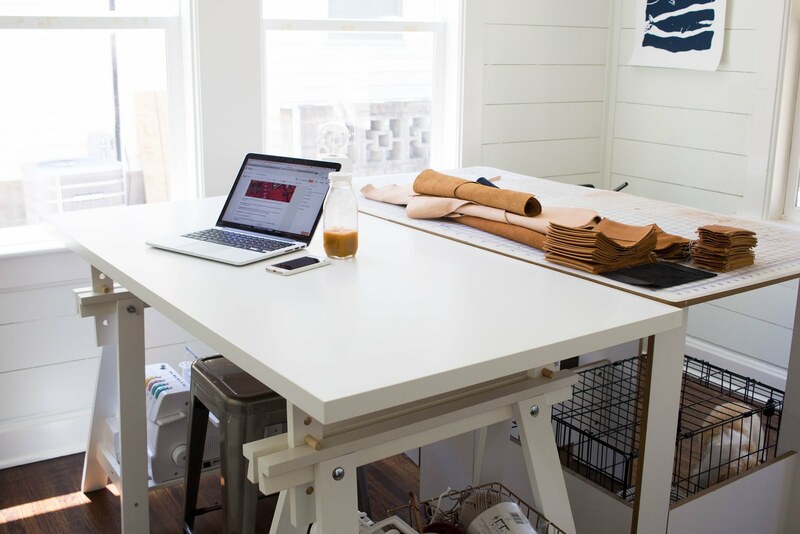 always rooney: Etsy or Shopify...Which Platform Is Right For Your Small Business? 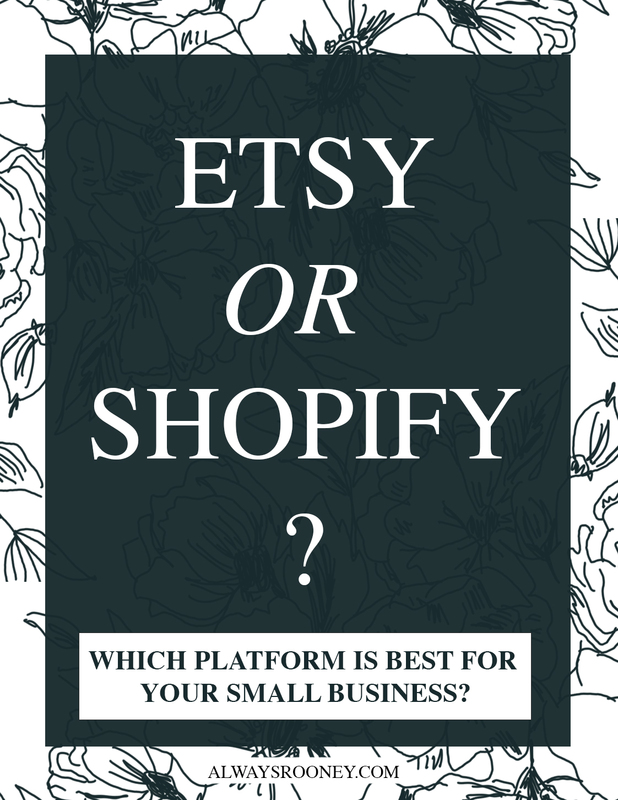 Etsy or Shopify...Which Platform Is Right For Your Small Business? There are hundreds of ways to get your products out into the world these days. With a few clicks of a button you can open up shop and be on your way to entrepreneurship. This isn't to make light of the situation, but to show following through on a dream of selling your products all over the world is a closer reality now than ever before. Etsy and Shopify are not the only two ways to get your products out there, but two popular choices of many. Today I wanted to compare the two since I've had experience with both platforms! Also note, it is very common and a great strategy to sell on more than one platform. This post is to point out where to start selling your goods and you can build from there. Shopify is more than a small business platform, it covers everything from selling online to selling in person. I have personally had my own Shopify store for a year now and its been a great experience. Shopify is great because it reaches far beyond your own website. Through shopify, you can connect your store to Pinterest, Facebook, Amazon, Email marketing and even your own blog with a "buy now" button. Shopify is not a marketplace, but a hosted website that integrates easy tools to smoothly run a shop. -Professional, clean website that is completely customizable to fit your brand. -Easy to use and intuitive as the business owner. -The ability to easily sell on Pinterest and Facebook. Many of my orders come directly from Pinterest, they didn't even have to leave Pinterest yet I still received the sale! -Abandoned cart information to easily use email marketing to reach out to customers who almost followed through with the order, yet walked away. -Detailed statistics about where your orders and customers are coming from, how long they spend on your sight, which pages they visited, etc. The statistics are very useful on how to grow and improve your shop! Shopify is ideally for the entrepreneur who knows a lot about SEO, Email marketing, advertising and creating a brand from the ground up. You don't have to know these things before opening up shop on Shopify, but you will need time and a willingness to learn! Shopify is also for the passive income shop. With the apps available, you can easily run an online shop without any inventory. You can have t-shirts, totes, socks, etc. made to order without a large investment on your end. Shopify is not for the beginner shop owner. The website, statistics, and available apps are a huge plus and are extremely beneficial to grow your shop but you may not see growth as fast if you are not dialed in on SEO, email marketing, or have money to invest in advertising. Shopify has a member rate that you pay monthly as well as each transaction has a fee, so you have more of an investment in your store. 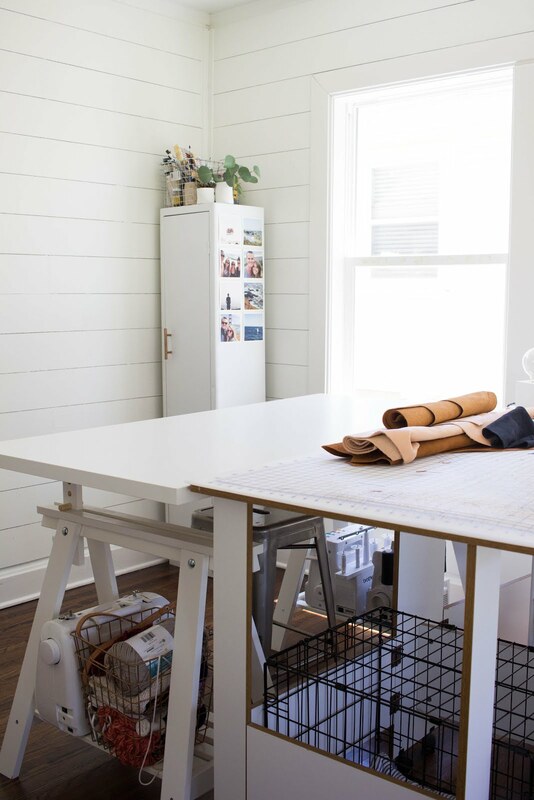 Etsy is a platform for small business owners who have a handmade product they make themselves or work closely with the design and execution of a product with a local manufacturer. Etsy is more than a platform, it is a community of over a million shops from around the world. The heart of Etsy is to support small businesses who are passionate about creating, and from the Etsy site and social media channels they work hard to support the sellers. -Very easy to do, you can set up shop in less than an hour! -The new dashboard makes it easy to navigate your shop, statistics, and conversations in one place. -Etsy wants you to succeed, so they provide simple ways to make your product seen. -You can advertise at a very small price, and work your way up as you grow. -Etsy takes the guesswork out of seemingly difficult tasks, like taxes. -SEO is a large part of Etsy, but since people come to their platform to shop, you can be found by people who would have never come across your shop otherwise. -Etsy also has a Wholesale side where you can apply and if accepted, retail stores can easily find your store and make wholesale accounts a breeze. Etsy is for the small business who is just starting out and wants to take a step forward in selling their products all over the world. This platform is perfect for the person who wants to have a side hustle on the weekends or after they get home from work. If you are wanting to step away from a job but need to build something on the side first, Etsy is the perfect reasonable next step. Etsy is also great for a small business that may be looking to expand their reach. If you already have a shop open somewhere else or even a retail store but want to sell online, Etsy has over 25 million shoppers waiting to see your product! Etsy is a platform, but you do not exactly own the shop. They have "Pattern" which makes your Etsy shop look like a storefront (like Shopify would) but that is more for looks than anything else. Etsy is a free platform to use and they take a small fee out of every listing and sale. I think this is a fair trade for the platform they give you and access to all the shoppers that come to Etsy to find something unique. 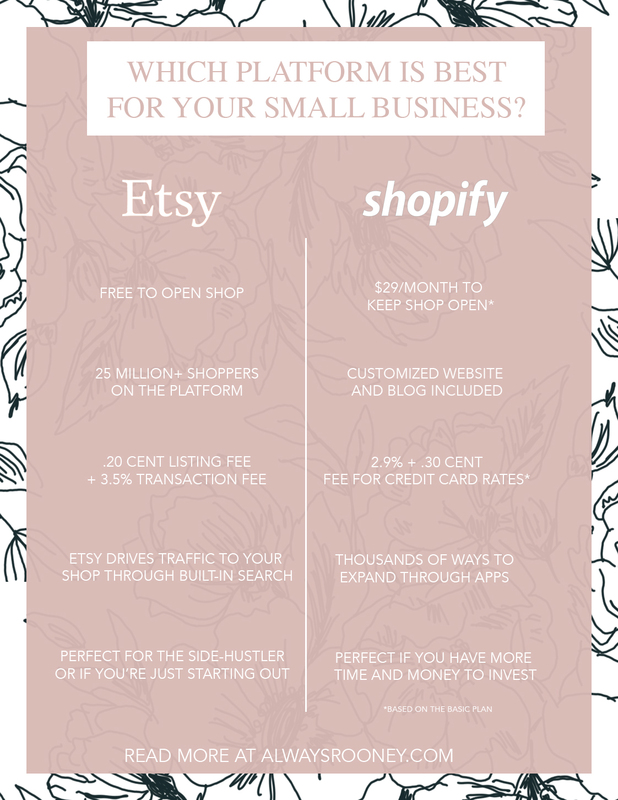 Hopefully this overview of both Etsy and Shopify help you make a clearer decision of which platform is best for you! Have any questions? Let me know in the comments below!